McKay has been awarded the installation contract for the Councils LED upgrade project which should be finished by April 2019. McKay has been awarded the installation contract for the Councils LED upgrade project which should be finished by April 2019. 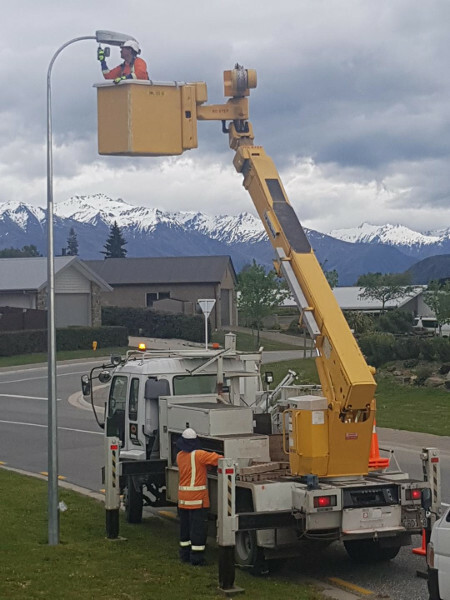 This will be the companies first major street lighting upgrade project in the South Island in the company’s 80-year history. While McKay has done a number of industrial Electrical projects in the South Island since the 1970’s it is great to be back and adding new services to new customers. The team are enjoying the scenery which never gets boring as they crack on with the installation, hope that Snow stays on the mountain! Special thanks to Aurora Energy for all the support in helping us get established.